For the past 2 years, my most under-utilized storage compartment on my boat had been my rod locker. There are two reasons for this: my rods always became tangled together and in the process of trying to pull them out, I had damaged a few eyelets on my poles. 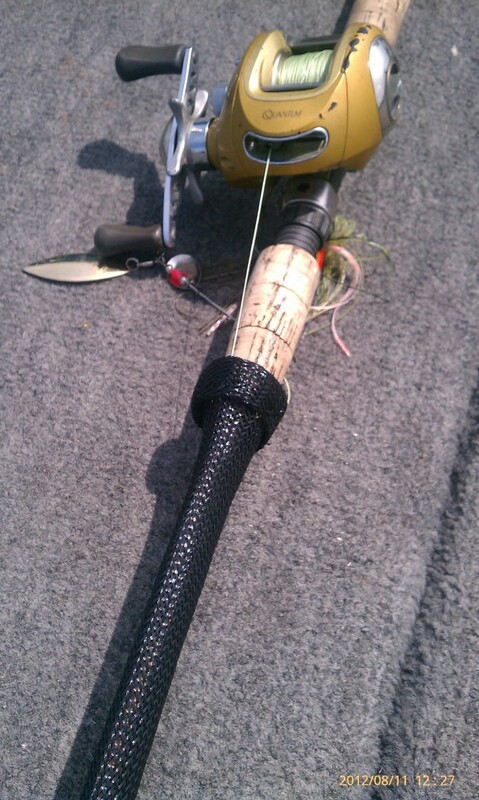 Using my rod locker was costing me time on the water and hurting my wallet having to repair broken poles. It was a hassle every time I used the locker, so I just decided to risk the road rash and store them on the bow during transportation. Recently, I have had the privilege of testing some of Clam Outdoors products called Rod Slicks. Rod Slicks provide an excellent solution for a tangle and damage free use of your rod locker. The Rod Slick slides easily on a fishing rod, covering each eyelet and covering the entirety of the pole until it reaches your reel. Once your pole is covered, it slides effortlessly into your rod locker among other poles that have been outfitted with the Rod Slick. Besides protecting and providing a tangle-free environment in your rod locker, you can purchase the Rod Slicks in a variety of colors. This is an excellent way to add organization to your rod locker. As a tournament fisherman, I am constantly organizing my crankbaits, terminal tackle and plastic lures. Now I can organize my rods to be even more efficient on tournament day. When I open my rod locker, I can easily identify my spinning rods from my crankbait rods and my crankbait rods from my flipping sticks. By opening up my rod locker, grabbing the tangle-free rod with the color coded Rod Slick, I am able to be one step ahead of my competitors by getting my line in the water first. Rod Slicks are an extremely affordable way to protect your rods. I no longer worry about having to bring a broken rod into the shop to have it repaired because of damage caused during untangling or placing my rod in the locker. For $9.99 each, you get a quality product and peace-of-mind knowing that you will no longer have a tangled mess, broken eyelets or rod tips, and a great organization tool to make you more efficient angler on the water. Visit Clam Outdoors today and place an order, you won’t regret it!